Have you ever wondered, “What’s up with the name of Genesis?” It is by no accident we picked that name. It represents a level of consciences that we keep firm to. It represents who we are and also for those that care, why to entrust Genesis with your golf travel and tournament needs. There is a story that we want to tell that will bring context how we are different. It’s a story of being given more than expected, and knowing that service and relationship is most important. About 2019 years ago, three fishermen decided to go out fishing in a body of water very far from where you are reading this. They fished all evening and caught nothing. They fished the better part of the morning and caught nothing. Now, it is one thing for leisure fishermen to catch nothing, but these men lived by their catches. You can imagine the stress. The next morning dragged on and the men lost hope. It would be safe to say the attitudes in the boat were not flying high with optimism. 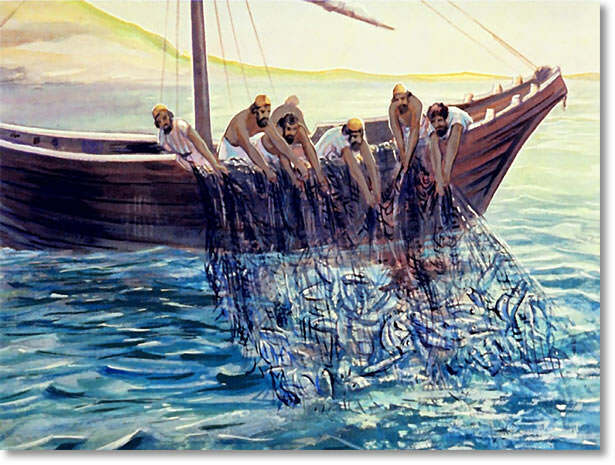 A man on the shore called out and asked, “Friends, why haven’t you any fish?” They answered with a most likely condescending, “No.” The man on the shore then implored the men to cast their nets to the other side of the boat; the right side. 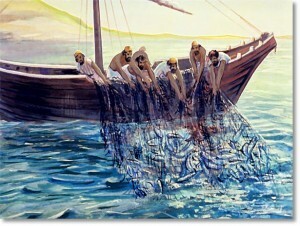 And when they did, the nets were so full they could barely haul it into the boat as the twine of the nets began to fray. Genesis wants to you to cast your net to the right side. We are a different brand of golf packaging that literally loses sleep at the thought of you casting your nets into ‘being a number’ nothingness. Your golf trip should be fulfilling and freeing. We know you have heard it before elsewhere, “You are more than a quote.” The same is true at Genesis, but we want you to be our friend first and foremost. When you cast your net with us, you are going with a firm that takes you from start to finish. We do not abandon you once you make a final payment, nor do we when you are on your trip. Our EMOD (Emergency Manager on Duty) Service is here to support you every step of the way. Ever wonder who’s on the other end of that line? It rings in the early morning, evenings and weekends to the General Manager/ Owner’s personal cell phone or the Assistant General Manager’s cell phone – in our homes, on the road, as we sleep, etc. We take the feeling of abandonment out of the picture. There is a relationship that we work hard to develop with you. Desiring to know your likes and dislikes is what makes our golf trips so LEGENDARY. You have an intrinsic value at Genesis and with that being fully recognized, it allows us to bring you unforgettable adventures through golf. Casting your net with Genesis is a decision you make to bring yourself into a more personal touch with your group’s golf trip. We understand fully that Genesis may not meet everyone needs, but to those that want to have LEGENDARY experiences, we welcome with open arms. The choice is yours.